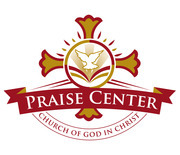 Welcome to the Praise Center Church Of God In Christ Prayer line. We believe in the Power of Praise and we are excited that you've partnered with us in prayer. To submit prayer requests, please click on the Prayer Wall link under Meeting Resources.